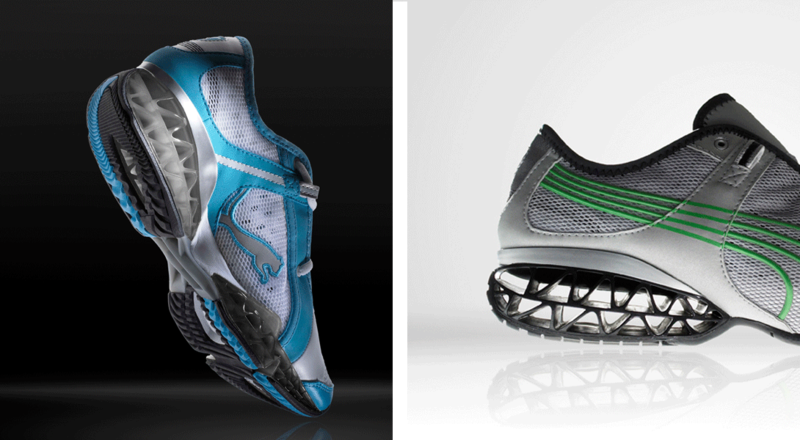 To bring platform innovation to Puma’s sports lifestyle positioning, Essential helped Puma develop two key outsole technology platforms: Cell Meio and SpiderCell. Essential helped evolve Puma’s highly effective Duocell technology by inverting the compression mechanism and shaping the cells to meet biomechanical requirements. By moving away from the overtly mechanical look of perfect hexagons, elongating the cells, and having them track to an S-curve centerline, Essential’s inverse Duocell design for Meio addressed performance goals while expressing a flowing and moving aesthetic that delivers on Puma’s sport lifestyle positioning. Essential also helped Puma develop its SpiderCell platform through a TPU A-frame-based idea using a matrixed cell approach to absorb shock and return kinetic energy to the runner. Essential’s design and engineering team helped Puma invent the innovative modular cushioning outsole that has become visually iconic, unique, and technically effective. 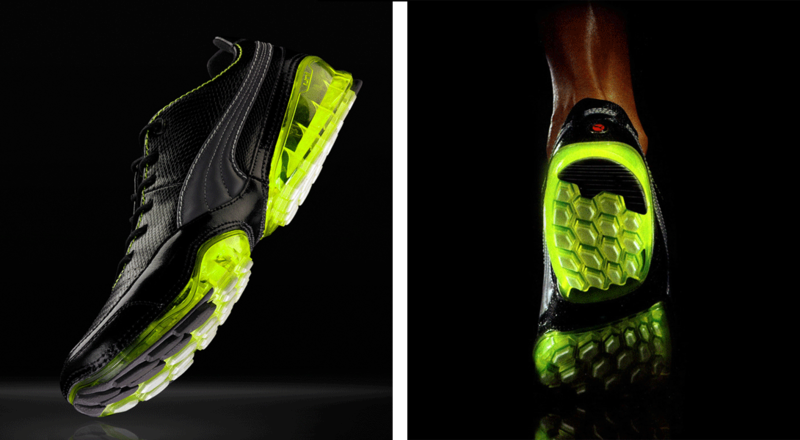 This modular outsole became the basis for the SpiderCell platform of sports lifestyle footwear. Puma’s SpiderCell platform is a TPU A-frame based idea using a matrixed cell approach to absorb shock and return kinetic energy to the runner. Essential’s design and engineering team helped Puma invent the innovative modular cushioning outsole to be become visually iconic, unique and technically effective. This modular outsole became the basis for the SiderCell platform of products.